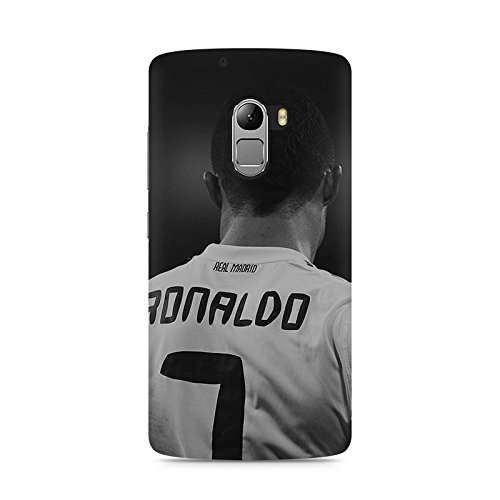 3d printed back cover for Lenovo K4 Note by Motivatebox.Ronaldo Back design, Polycarbonate Hard case with premium quality and matte finish@397 Rs [Mrp:-999] - Onlinedeals.discount - A leading product discovery website. Find the true prices of products, read reviews and buy top brand products at reasonable prices. CASE MATERIAL: Durable Anti-Dust Hard Polycarbonate Plastic with precision cutouts for charger and headphones. Waterproof, Shock Proof and scratch-proof, dust resistant, Matte-finish and UV/fade resistant premium quality mobile back case/cover. Covers are even impact resistant, non-peeling, sublimated with vibrant eco-friendly inks, and extremely slim fitting for best and high quality usage. High quality matte finished cases with high resolution printing using state-of-the-art inks and transfer techniques. We are able to print all around the 3D surface of the phone case and it includes the sides, edges, and corners. Our unique process is much better than traditional flat – surface printing, both in terms of visual appeal and end customer experience. High Quality Material which could be easily put on the phone and could be even removed easily. The high quality design and print would be an excellent fit for your phone. OTHER FEATURES:NOTE: 1 year warranty against any manufacturing defects. If the design on this case ever peels or flakes off, Motivatebox will replace it, completely free of charge. Final product may vary slightly in colour from the display image due to the differences between printing and proofing methods. Color proofs are made from the digital file and may vary depending on the computer monitor or color printer. This 3d printed Famous Personalities designed back cover case, keeps your Lenovo K4 Note safe and protected. This Famous Personalities Back cover is made up of Plastic Case. The print is there on all the sides and edges of the cover which gives your phone a unique feel. The back covers designs are fully customizable; these designs on the cases are manufactured by MOTIVATE BOX accessories after you place the order. This Famous Personalities case allows easy access to all buttons, controls and ports of your Lenovo K4 Note . This case cover is attractive, comfortable, light weight and has unique design; it perfectly fits and protects your Lenovo K4 Note from scratches and damage. Easy to install and remove. High quality finished case. This is a printed design , kindly note we will match 90% of image colours because the printer ink transfer rate is maximum 90%.